The PSJA Early College High School Band performs their state bound Starry Night after a game at PSJA Stadium on Friday ,Nov. 2, 2018, in Pharr. 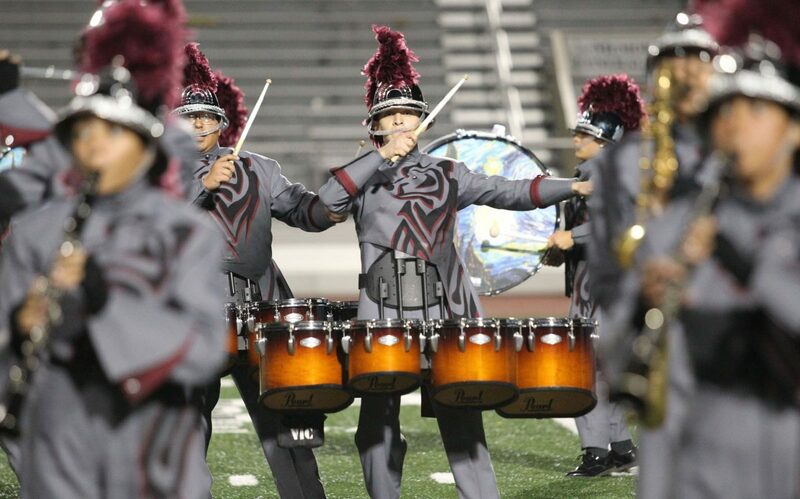 The Band had their best performance of the year last week in Laredo and earned their spot at the UIL State Marching Contest at the San Antonio Alamodome on November 5th. 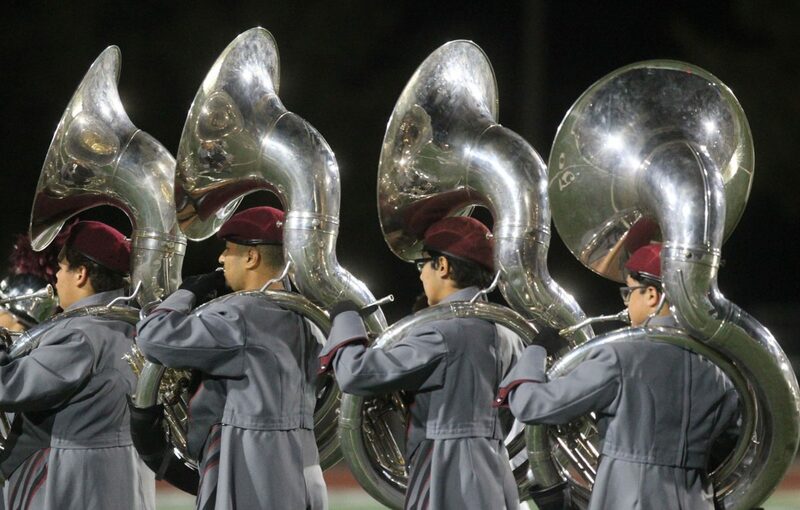 SAN JUAN — The students of the PSJA Bear band understand discipline. They know not to move when ordered to stand at attention. So when they were standing on a football field in Laredo, they didn’t move a muscle when they heard they would be advancing to compete at the state competition — the first time in the school’s history. “The kids don’t move, but I just see tears,” said John Garza, describing the students’ reactions at the announcement. “Straight down their face, every single one. 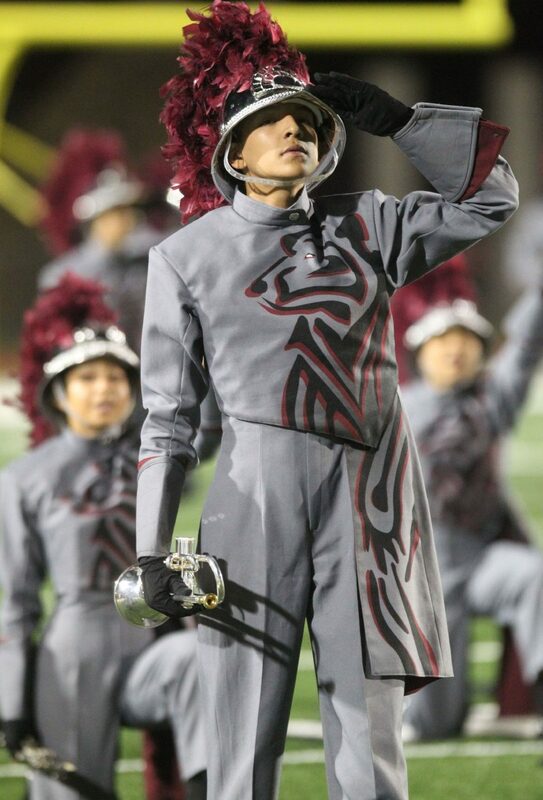 Drum major Marina Rodriguez is still in shock. 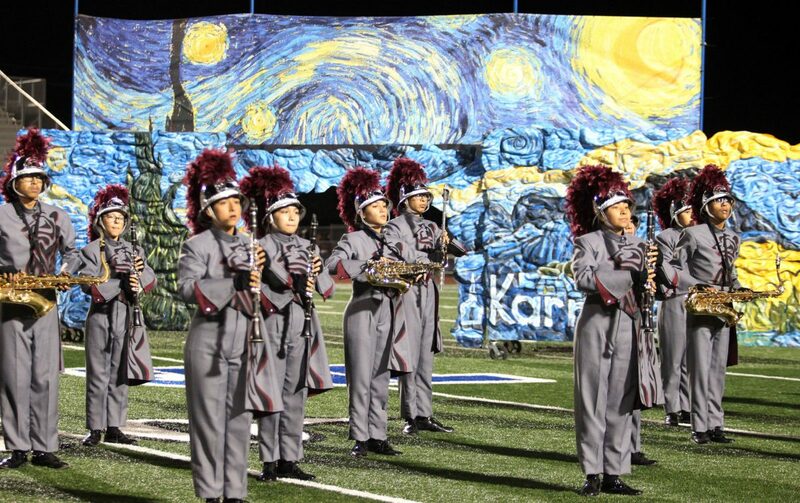 The PSJA Early College High School Band performs their state bound Starry Night after a game at PSJA Stadium on Friday ,Nov. 2, 2018, in Pharr. The PSJA Early College High School Band performs their state bound Starry Night after a game at PSJA Stadium on Friday ,Nov. 2, 2018, in Pharr. The Band had their best performance of the year and earned their spot at the UIL State Marching Contest at the San Antonio Alamodome on November 5th. “It’s a big thing. It’s really hard to process,” said Rodriguez, 18, a senior at PSJA Early College High School. She said she didn’t think she would cry when their advancement was announced, but as soon as they were allowed to break ranks and the hugs began, the tears started pouring down. The goal of finally making it to state this year was one they had set out to reach when rehearsals first began over the summer. 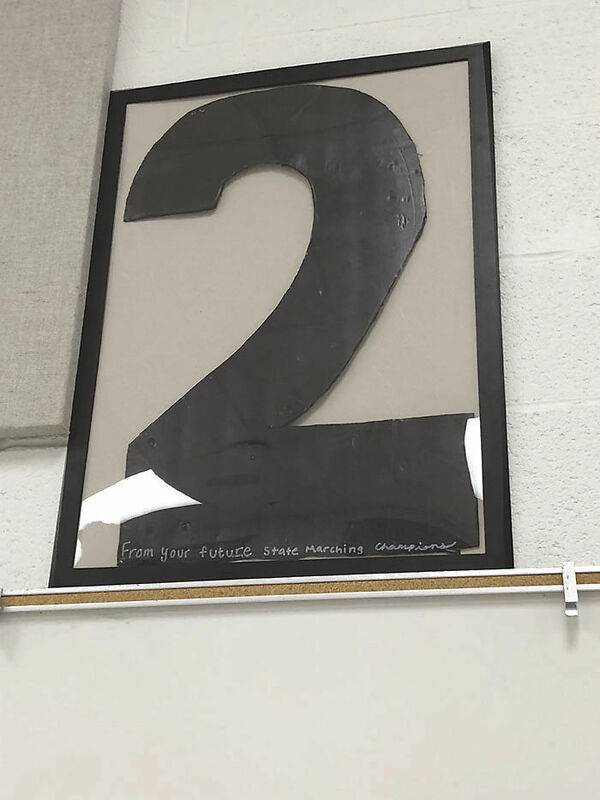 But the work really began in 2015, after the band received a Division 2 — a lower rating than the desired Division 1 — during the Pigskin Jubilee Marching Contest. Garza was an assistant band director at that time but he was elevated to the top job that November. That’s when the culture changed. “ The culture of what the band used to be, between the upper classmen, was very cynical,” said Jose Vela, 17, a senior and lead trumpet player. Since then, Vela said he believes the band has grown and each person has grown as well. That was no less important for this year’s show, titled “A Starry Night,” which proved to be pretty demanding of them, according to Vela. “It wasn’t easy getting away with not putting your all at all times,” he said. Their program has a deep meaning, he added, with themes of existentialism. “It’s about our place in the universe,” Vela said, noting that the program emphasizes that people are just as important as everything else in the universe. And like the program asks the audience to view existence within a larger context, Vela similarly liked to think about the band’s success within a larger, historical context. The significance of their achievement, after all, is not only the first time it’s been accomplished but, coincidentally, it also occurred during the school’s hundredth year in existence. The students will be taking off to the competition at 11 a.m. on Sunday. They will be performing on Monday 10:30 a.m. at the Alamodome in San Antonio and if they make it to the finals, will perform again on Tuesday.